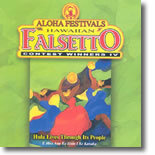 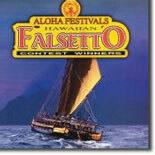 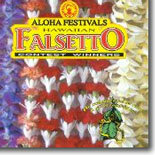 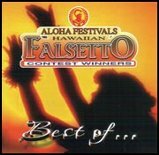 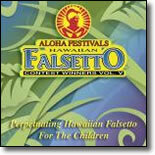 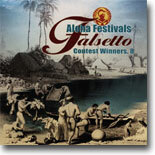 Comments: Hawaiian falsetto singing (leo ki`eki`e) is one of Hawai`i's greatest contributions to musical culture. 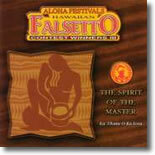 Usually performed by men, singers mesmerize the listener with their skillful vocal changes up to the highest registers with their voices, performimg difficult musical stretches with ease and delight. 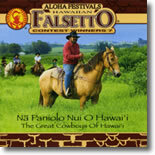 Today's distinctive Hawaiian falsetto singing has numerous origins: early Island chants (mele oli), Christian hymns, songs and yodeling of immigrant cowboys. 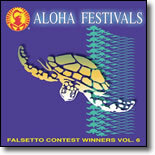 These influences inspired Hawaiians to create their own unique musical expression which has become a tradition of its own.